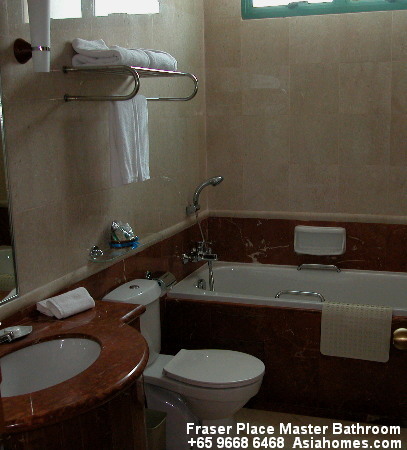 Fraser Suites River Valley Serviced Apartments with hotel concept of privacy and carpeting. Your own washer and dryer. 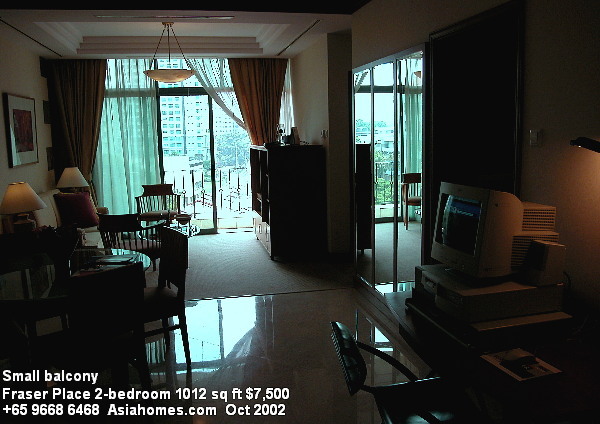 1-bedroom 667 sq. ft rents around $8,200. 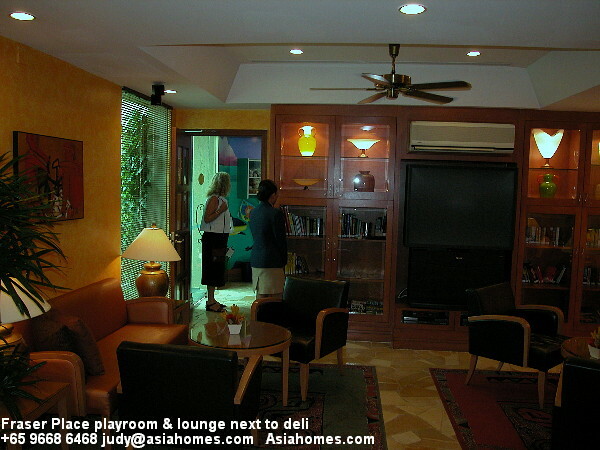 2-bedroom 1001 sq. ft rents around $9800 in 2014. 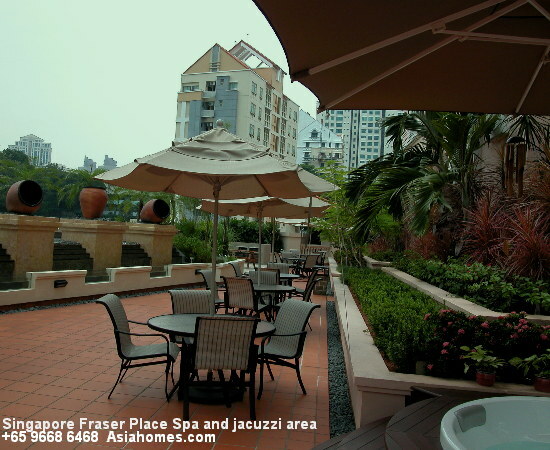 Fraser Suites River Valley is characterised by rich textures and distinctive decor. 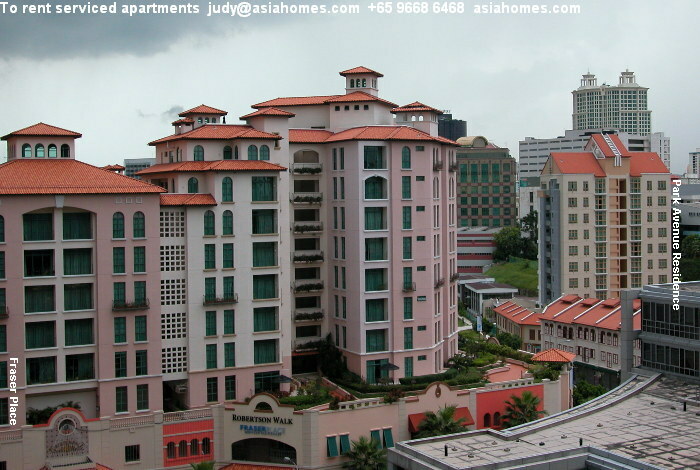 A 3-6 minute drive to the business and entertainment districts of Orchard Road and Raffles Place. 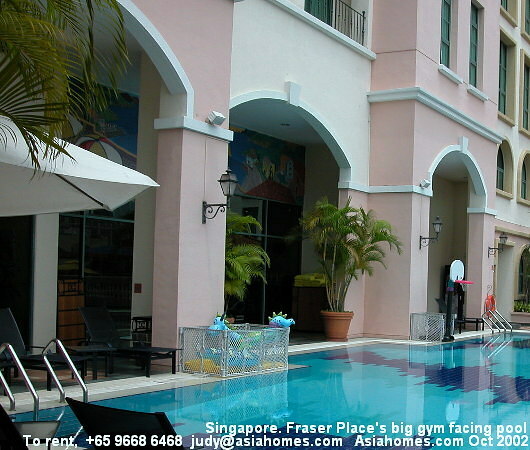 In 2012, Fraser Suites is brand new, after undergoing extensive renovations. 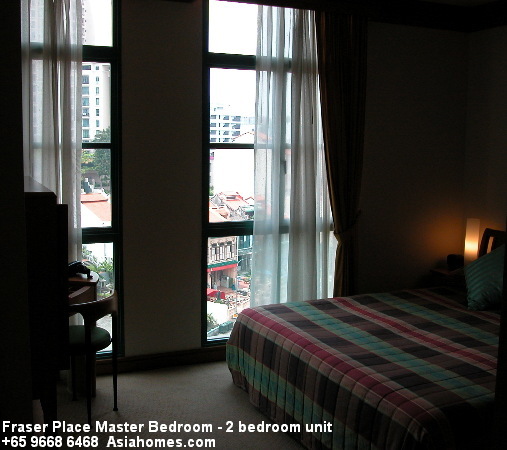 Fraser Residence Orchard Serviced Apartments are nearest to the Mount Elizabeth Medical Centre and Hospital and a 5-minute walk to Orchard Road subway. 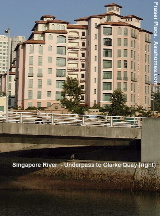 Has a utility or maid's room. Does not have 1-bedroom. 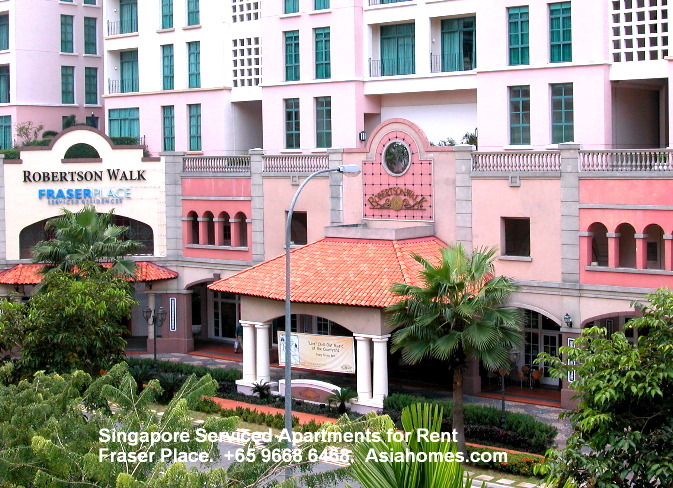 2-bedroom, 958 sq ft rents around $9,900 in 2014. is ideal for extended corporate stays. The 72 residences range from well-fitted one-bedroom to spacious two-, three- and four-bedroom to a luxurious five-bedroom penthouse. 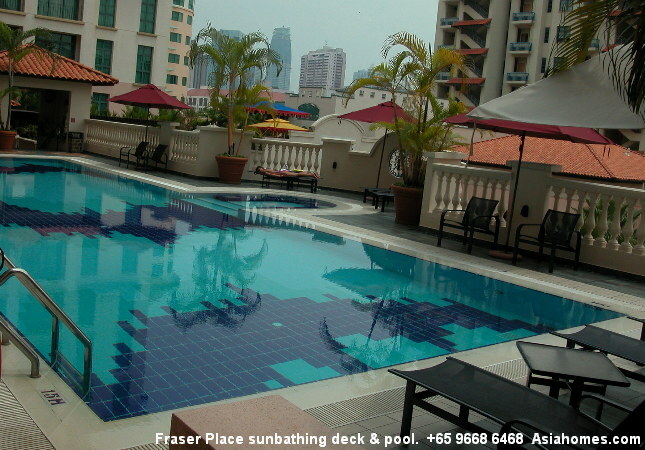 Kindly note that Fraser Residence Orchard requires a minimum of one month stay and above. 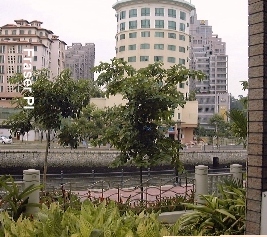 is near Science Park, National University of Singapore and INSEAD. Fraser Place Fusionopolis features the liberal use of such elements in its wall treatment, floor finishes, furniture and comfortable poufs shaped like large pebbles in vibrant texture. Each residence is decked with all the conveniences of home from comfortable living and dining quarters to wireless internet connectivity and modern entertainment system. 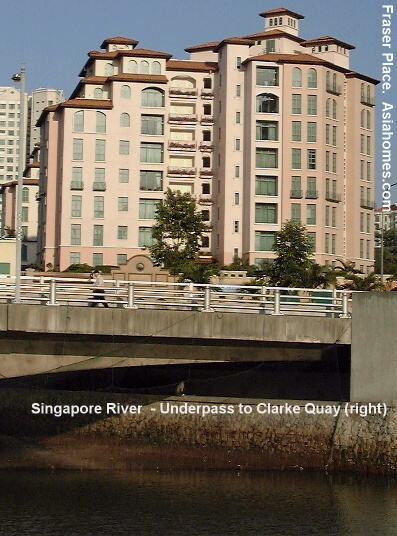 It is easy to access other parts of Singapore from the serviced residence with one-north being served by an excellent public transport infrastructure. 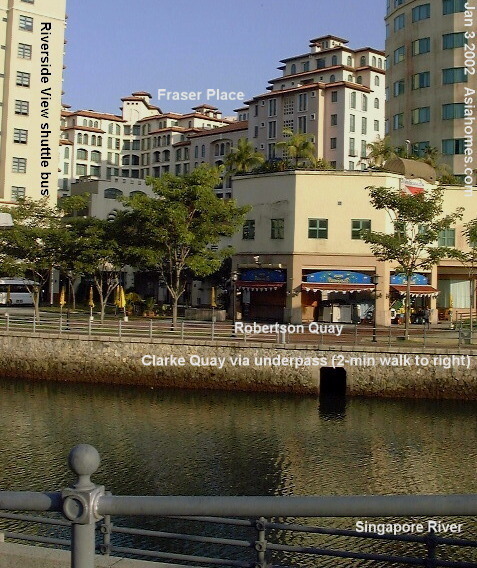 Fraser Place Robertson Walk is part of the luxury mixed residential/commercial development at Robertson Walk. 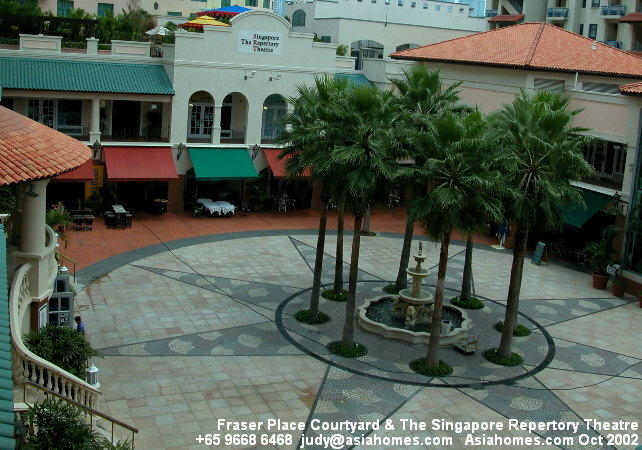 Fashioned in the style of a Mediterranean village, it offers a wide range of facilities including a range of theme restaurants and specialty shops encircling a spacious open courtyard. 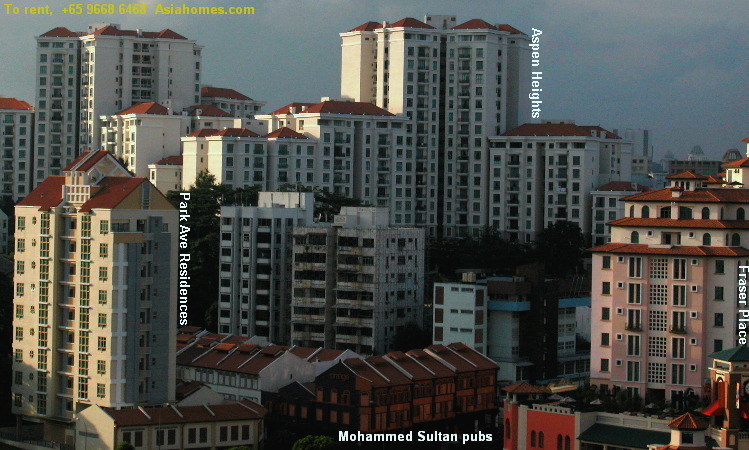 There are a total of 161 units comprising, 1, 2, 3 and maisonette units. 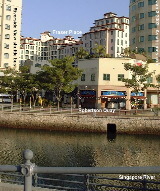 Fraser Place Roberston Walk is near Robertson Quay & Mohammed Sultan pubs. 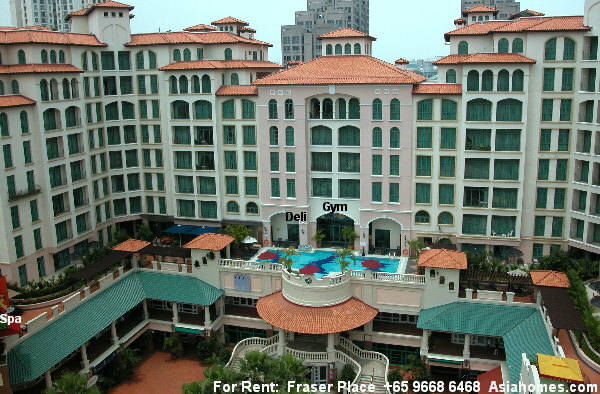 Small balcony, big gym, river frontage & Mediterranean theme attracts young Caucasian expats. Does not have 1-bedroom. 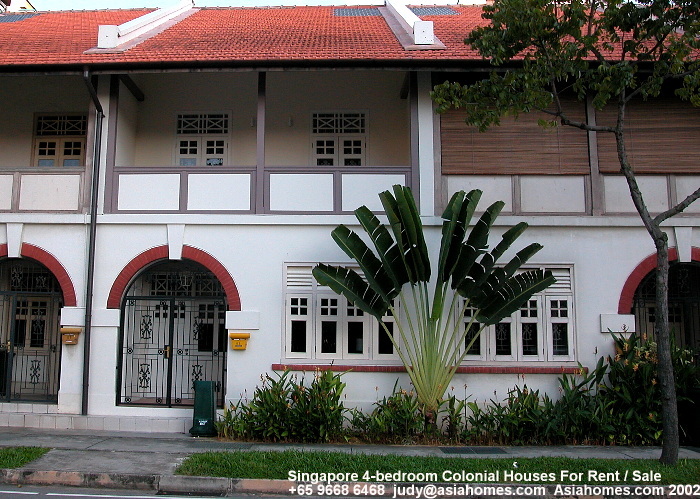 2-bedroom, 862 sq ft rents around $9,300 in 2014. 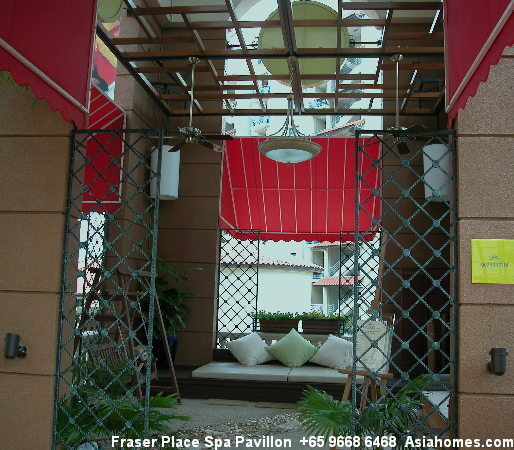 Spa Pavillon for foot reflexology and anti-stress massages. 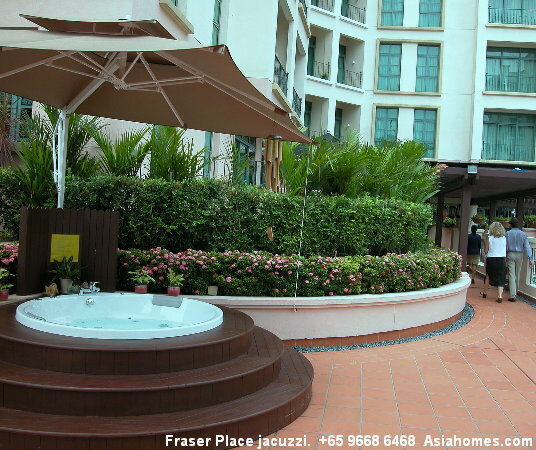 This is a new feature of Fraser Place Jacuzzi bath near Spa Pavillon on level 2. Small balcony, computer in the living area of a 2-bedroom apartment Mohammed Sultan Road pubs where you meet mostly young expatriates and locals. Rental rates/sales prices vary with time. It is not possible to provide latest info in this webpage. 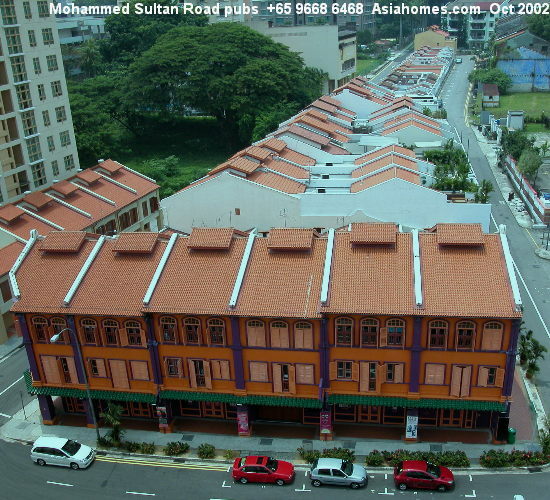 E-mail judy@asiahomes.com or sms/tel +65 9668-6468 for latest info.